INGREDIENTS: Bis-diglyceryl polyacyladipate 2, butyrospermum parki butter/ Shea butter, polybutene, ethyl hexyl methoxycinnamate, octyldodecanol, ethyl hexyl palmitate, polyethylene, hydrogenated polyisobutene, ozokerite, simmondsia chinensis seed oil/ jojoba seed oil, cera microcristallina/ microcrystalline wax, disteardimonium hectorite, diisopropyl dimer dilinoleate, alumina, peg 5 rapeseed sterol, tocopheryl acetate, pentaerythrityl tetra di T butyl hydroxyhydrocinnamate, calcium sodium borosilicate, parfum/fragrance, silica, synthetic fluorphlogopite, calcium aluminium borosilicate, sodium hyaluronate, tin oxide, citronellol, linalool, limonene, alpha isomethyl ionone, (Titanium dioxide, colours according to the shade). COST: INR 299 for 3.9g. 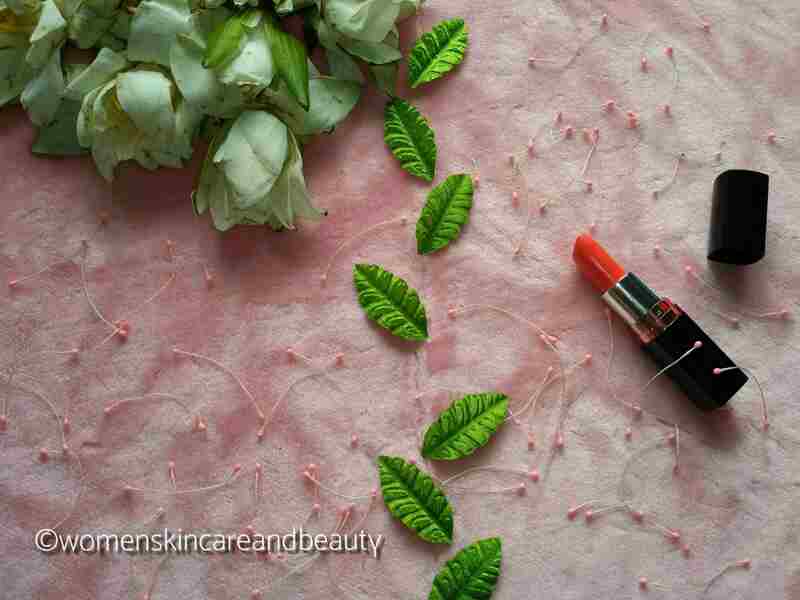 Orange icon is a beautiful PEACH-ORANGE shade that would look great on fair to medium (wheatish) skin tones.. In my opinion, it might tend to wash out on dusky or dark complexions! The pigmentation of this shade is slightly sheer when compared to the other shades of the range! 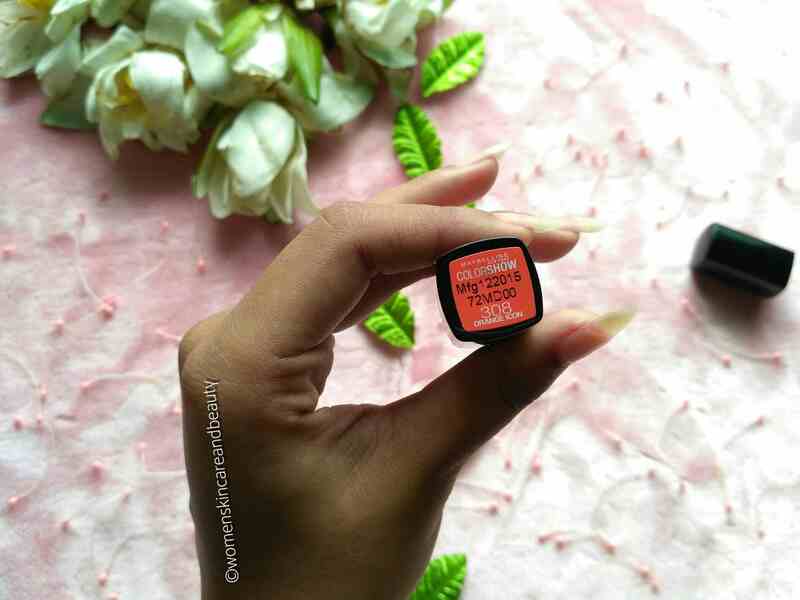 One single swipe of the lipstick just gives a cute peach tint to the lips and multiple swipes are required to achieve the actual colour of the bullet on the lips! I have quite pigmented lips and a minimum of 2-3 swipes are required to make the patches and pigmentation on the lips unnoticeable! The lipstick is quite creamy and glossy and so transfers a little onto the cutlery.. But the staying power of the lipstick is really great! The glossy look stays for about 2-3 hours after which the lips become completely matte and stop transferring the colour.. I have had full oily meals with this lipstick on, and it survived such heavy meals completely.. 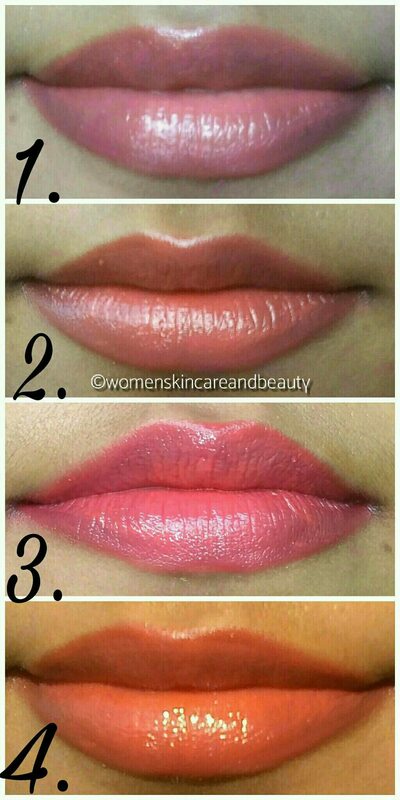 Even washing the mouth with plain water doesn’t remove the tint from the lips..
2. Travel friendly packaging and sturdy tube. 3. Subtle, Peach-orange shade; Great even for those who are apprehensive of wearing bright orange shade! 5. Survives heavy meals almost completely. 6. Leaves a strong tint on the lips that stays until you remove it using​ a makeup remover. 1. A little sheer compared to other shades from the range. 2. Multiple swipes needed for the actual shade to show up and hide the pigmentation completely. 4. The glossy, creamy texture stays only for a couple of hours after which it goes matte. 5. Needs to be removed with oil or makeup remover. Looking at the stick i really did not like the colour, but when you applied it, it looks gorgeous!! Thank you for the swatches, product makes more sense now. 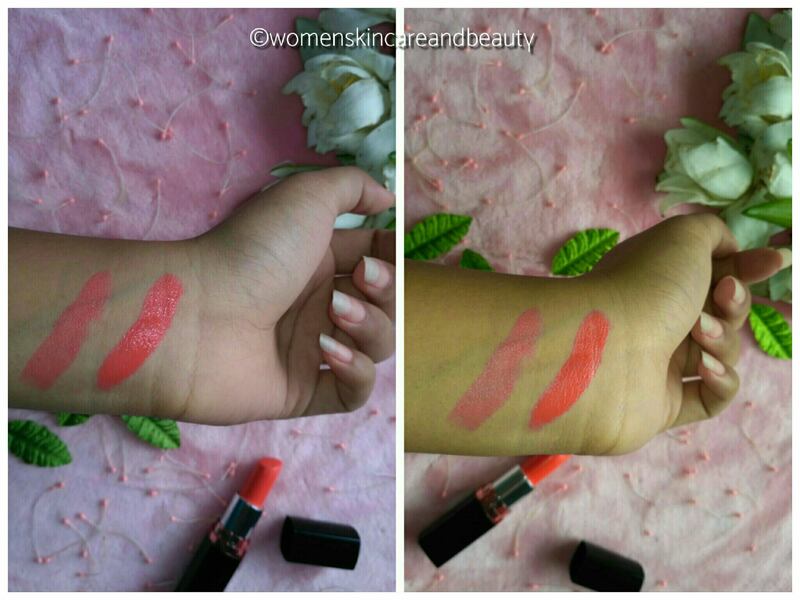 Nice review with lovely pics , Its good that it can be used as both Orange & Pink Lipstick ! Love this! Maybelline is one of my favourite brands. This lipstick looks really beautiful on you and i love the shade. I like that the shade looks more peachy-pink. It does look really nice on you. I loved reading this post. 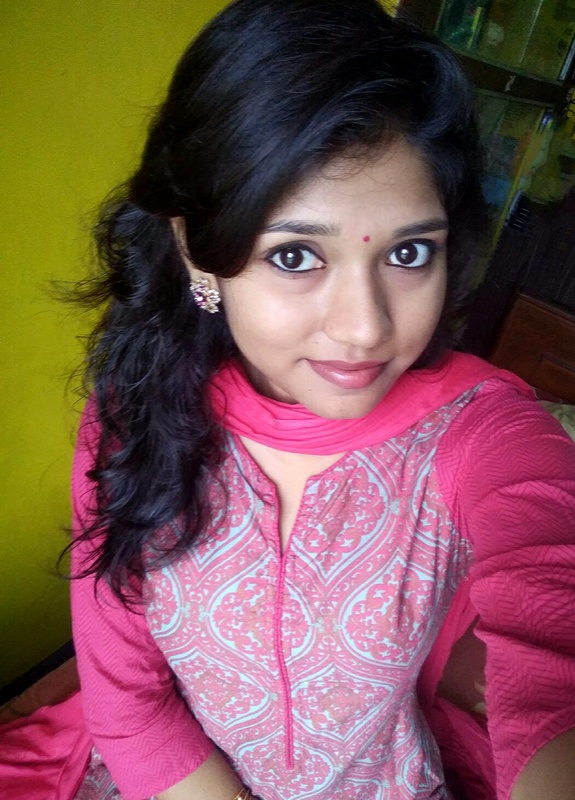 All the lipshades are lovelt and as the season of festivals are approaching its so apt as per that. Though I don’t like the pink shade so much but the pink shade you tried looks so good and natural. will try it on myself and maybe buy if it suits me too! This lipstick is cool. You can get many shades using it. I like the pink-peach look. Also good that it even does the moisturizing job. Amazing lipstick shades with varied texture glides smoothly. Great review. I loved all the colors it shows…Lovely product. I am going to buy it. It can be pink, it can be orange! Cool lipstick ❤ Subtle and moisturizing. The color looks very pretty on you. Many shades from a single lipstick… thats pretty good. By the way you are looking cute. How come a single lipstick is giving so many shades, thats impressive ? thanks for the lovely review. Thanks for your beautiful review. Although i personally don’t like bright colours but your review excited me too much to have this one. Bqz in this one lipstick we have got 4 in 1 type of colours. Which we use or swipe according to our preferences. So, thanks again for guiding us.